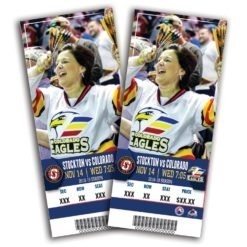 Get the best seats for the best price with Colorado Eagles Season Tickets. Experience the tradition of Eagles Hockey and secure your seat to every Colorado Eagles home game by placing a $100 per seat deposit today! You won’t want to miss a single minute of Colorado Eagles Hockey!